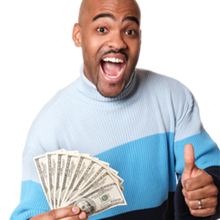 If you need a cash advance loan in Mississippi, then CashLoan.org can help you get one quickly, efficiently and confidentially. Sure you could apply for a bank loan or drive to a local cash advance store, but why spend the time, energy and gas? The fastest way to alleviate financial emergencies is with a fast, secure and confidential loan from CashLoan.org. CashLoan.org understands that emergencies happen. Whether it is a medical emergency, a car repair, a surprise party that requires a gift from you, or an unexpected school expense, a cash advance loan may be just the thing you need to take care of the situation. A cash advance is a short-term loan meant to keep you afloat between paychecks and, as such, usually is paid back within a couple of weeks. The application process is fast and easy with approval time 90 seconds or less. A cash advance can be just what you need to pay for whatever unexpected expense finds its way into your life. There’s no need to struggle until your next paycheck. Residents in most states can enjoy this great service. Simply APPLY NOW online or contact us today! Mississippi has laws on the book that specifically target the authorization of cash advance loans. Some include the requirement of having a permanent U.S. postal address. For payday loan stores, there are strict zoning laws in place. Payday advance lenders may not pursue criminal action against a borrower due to checks returned because of insufficient funds. $400 is the maximum payday advance loan, excluding fees, allowed by law. Mississippi law does not permit extensions or rollovers. The maximum finance fee and rate that a cash advance business can charge is 18% of the check's amount. Finance fees cannot exceed 18% of the amount borrowed.